Selected styles only. Discount applied at checkout. Offer is valid for a limited time only. 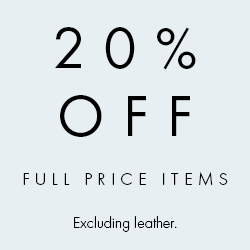 Excludes leather. Ends Midnight Thursday 25th April.